As we fast approach May we are finally getting April's fishing. This time last year I had boated a few Bream and registered several more species but whether it's from boat or shore, this year has been tough. 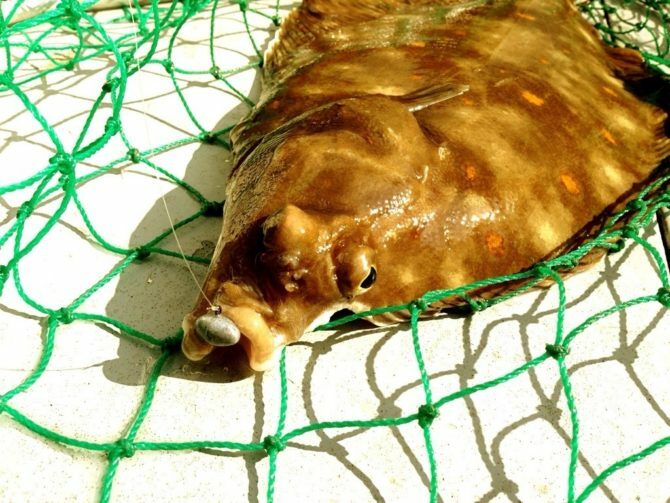 The bonus of not having anything silver to fish for yet is that the Plaice have demanded more attention when boat fishing and with the right set-up are entirely target-able with plastics. Last Sunday the weather gave us a window to try Hayling Bay again. We set off early with a plan to fish LRF/HRF for as long as the conditions allowed and for a few hours at least we had the perfect spring morning with no wind at all and even some sunshine. After a few initial drifts and watching the boats around us it was clear that not a lot was being caught and just as I was thinking about having a move, Adam said what every angler wants to hear, “here’s a fish”. This wasn’t the Plaice we were after though, instead a lovely Thornback Ray came to the net having inhaled Adam's Berkley Sandworm and as we were drifting at the time it wasn’t a lazy fish that had time to ponder over a bait. It followed then took the plastic just as any predator would. Not sure of weight. Estimate about 5lb, but any bigger and Ad would’ve been in big trouble as this fish proper ‘hung-on’. Still buoyed by the Ray we decided to get the anchor down and work an area around us. I started with a 3" Reins paddle tail first. These supple plastics work with the smallest of movement and on a day where we hadn’t seen a Plaice landed around us it was fair to say that the fish were not in a chasing mood and we would need to attract their attention. Several dozen casts later I switched to the Ecogear Milfle mainly for the little grub-tail that is workable in short little bursts tight to the bottom and eventually I got hit. 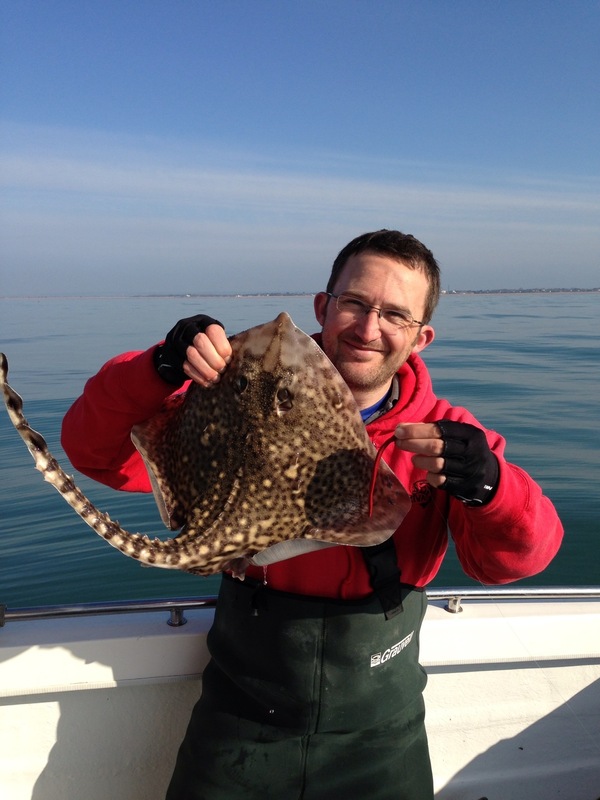 The fight was undeniably a flatfish, very up and down, and a good size Plaice it was at approx 2-1/2 to 3lb. 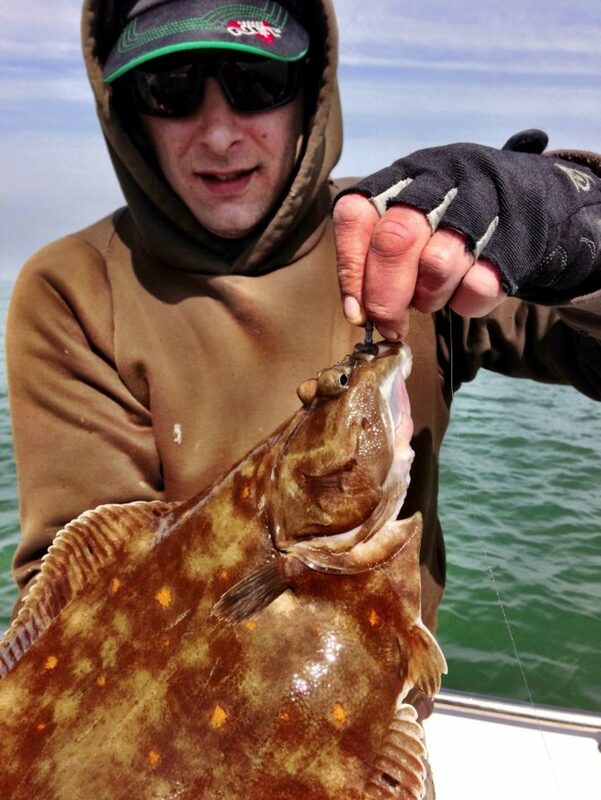 It was an LRF best flatfish for me. After some pics it was released, we tried hard for some more but without luck and after speaking to some other anglers who blanked I was more that happy to register anything at all. 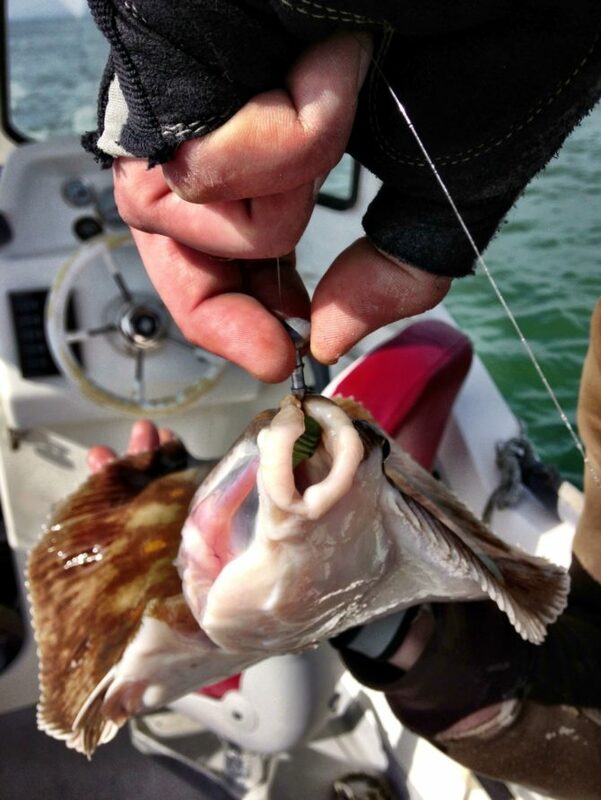 The sight of a red spotted Plaice coming up through the depths is a special one for boat anglers, and I would urge anyone who doesn’t dust off the lure gear until the Bass arrive to maybe give the humble Plaice a try and bring the predator out in these fish as they may surprise you.